"Before coming to Dr Childs and Dr Durr, my son had been diagnosed with ADHD and Asperger’s and had significant behavioral issues for several years. We went to several doctors, tried many programs – anything to improve the situation. We tried EVERY MEDICINE. Absolutely NOTHING IMPROVED his behavior problems. We had problems at school, lack of attention, underperforming, no focus. We were OUT of OPTIONS. Then we heard of Dr. Childs and Dr, Durr. We have been coming here for some time and are now in Phase II of the Treatment. Our son has done ‘a 180′ in lifestyle. He tested positive for gluten, and now is gluten-free and we noticed an IMMEDIATE difference. He takes supplements now, we do excersizes both here in the office and at home. He has experienced a MAGNIFICENT CHANGE – IMPROVEMENT. After all these years with the struggle of ADHD, I have now gotten to mert this little person. THANK YOU Dr. Childs and Dr. Durr." "My Grandson had outbursts of anger and defiance at his daycare and was diagnosed by our doctor to have ADHD and was put on medication. We were so sad that a 5 yr old had to be medicated every day. The complaints still came from school, so we came here to see Dr Childs. Now… NO MORE MEDS, Julian’s whole health and attitude has improved, he loves school, is in Kindergarten and doing very well. Thank you Drs. Childs and Durr and staff." "Nick is 7 and he was diagnosed with Autism when he was 3-1/2 yrs old. His social skills suffered, he had poor eye contact and worse – tantrums. He was bullied at school. He would have meltdowns when we went out. He did did not sleep well for the first year of his life. Since coming to Dr. Childs, NICK’S LIFE HAS IMPROVED, his social skills and focus are normal, tantrums are less, his transformation is nothing short of miraculous, this change has affected us all. I RECOMMEND Dr. Child’s program to all people who are suffering as Nick was." "From about 3 yrs old, my son has been having ‘melt-downs’. These melt-downs were occurring in pre-school and then elementary school, 3 to 5 times a week. My son was also taking 3 meds prescribed by our family MD. Since starting treatment with Dr. Childs, my son is much better, his social and behavior skills have approved very much and he has reduced taking the medicines!" "AMAZING – Our 7-1/2 yr old grandson was diagnosed with ADHD in 2010, we came to Dr Childs and Dr Durr last year and after one year of treatments including, gluten insensitivity diagnosis, new diet, metronome, excersizes, he is a wonderful normal 2nd grader now testing at 3rd grade levels with NO tantrums and NO MEDICINES. He has GROWN UP emotionally this past year which has changed his life and CHANGED OUR LIVES." "Before seeing Dr. Childs and Dr. Durr, my 4 yr old son was hyperactive, angry, impulsive since he was 6 months old. Since coming to Dr. Childs he is very focused, can sit and color, has fewer temper tantrums and is no longer impuslive. Our lives are now peaceful and we can go out without worries!" 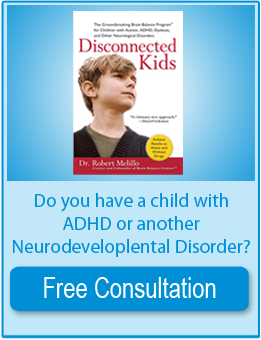 "My son was diagnosed ADHD 4 years ago. Since starting with Dr Childs, there has been a HUGE improvement in my son, and also my family unit. These amazing improvements started just 3 weeks into the program and we are now 4 months in the program the the changes are amazing. Thank you Dr Childs and staff!" "My son Evan was diagnosed with ADHD, he WAS out of control, compulsive, homework was impossible – and yes, we had our share of family fights. Since treatment with Dr. Childs – you can see from the video Evan is quiet and composed, his school work is awesome, his teacher said whatever YOU ARE DOING DONT STOP! Our life is much better since meeting Dr. Childs." "My 12 yr old son was not able to sit still even with meds until we met Dr. Childs"
"Shawn struggled with ADHD until he was 16 when I started him on Dr. Childs and Dr. Durrs’ BBT, since then his grades have improved from failing to passing, it is a blessing….!" "My son’s grades improved from D’s and F’s to B’s and C’s thanks to Dr. Childs’ and Durr’s Therapy"
"Sela was not paying attention, she was mis-behaving; now after ADD Therapy, she is wonderful!" "My Sons Grades went from D’s and F’s to C’s and B’s!"